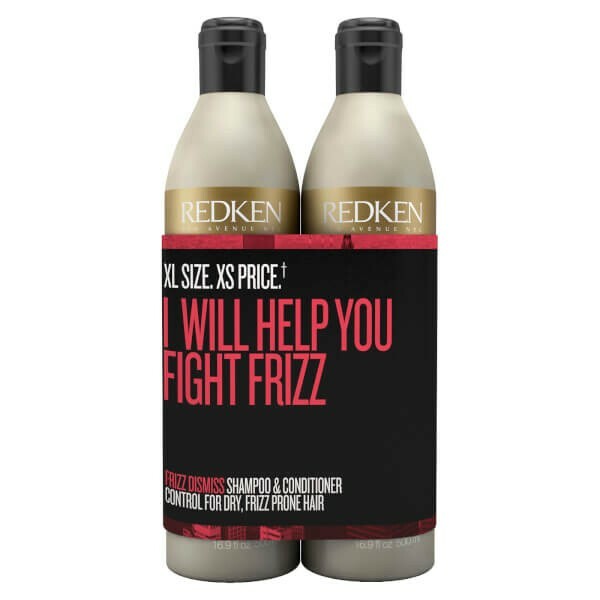 Combat unwanted frizz with Redken Frizz Dismiss Shampoo and Conditioner Duo; an anti-humidity pair that work in synergy to smooth hair and leave locks sleek. 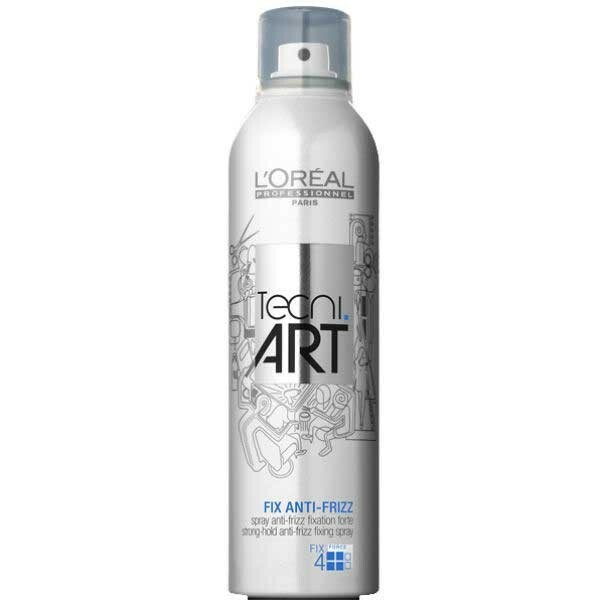 Host to an effective shampoo and conditioner, the set guarantees to eliminate frizz and flyaways to leave hair ultra-manageable. Suitable for all hair types, Frizz Dismiss Shampoo has been developed to leave you with smooth, sleek locks. The luxurious liquid gently eliminates dirt, impurities and excess oil from the hair and scalp, whilst penetrating deeply into the hair shaft to maintain moisture levels. Enriched with Brazilian Pracaxi oil, the lightweight shampoo nourishes and strengthens fibres and its Humidity-Resist Complex delivers protection for calm, manageable locks. Tames frizz and flyaways so you can experience a salon style finish after every wash.
Effortlessly detangle hair with Frizz Dismiss Conditioner. Suitable for all hair types, the weightless conditioner has been specially formulated with a Humidity-Resist Complex to control frizz and flyaways, leaving hair sleek, smooth and calm. Nourishing Brazilian Pracaxi oil strengthens hair fibres from root to tip so you can experience long-lasting manageable and hydrated locks. Shampoo: Apply to wet hair, massage into a lather. Rinse. For best results follow with Frizz Dismiss Conditioner. Conditioner: After shampooing, apply and distribute through hair. Rinse. For best results follow with Frizz Dismiss Smooth Force.